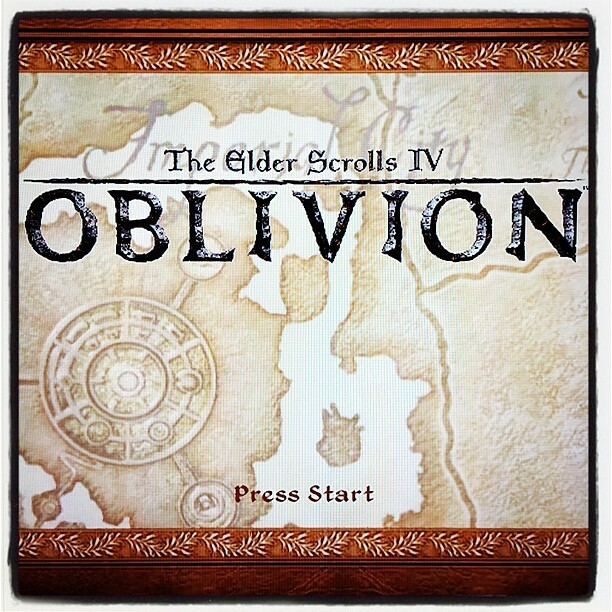 After spending so much time in Skyrim, and for the most part enjoying the experience, I have decided to give Oblivion another chance. I initially rejected it because I got caught in a combat bind, advancing to an area in which I had no business being in as a Level One. Instead of retreating and grinding like a good gamer, I just threw in the towel after only 2.75 hours. I know this number to be true because when I deleted my original save file to start anew, it said 'you quit after 2:46, you fool'. Xboxes. So full of judgment. I am traipsing down the spell-sword path again, my character much like my one in Skyrim, with a fire burst on one hand and a wicked blade in the other. The game is amazingly beautiful for something that released six years ago, but the map system is terrible. I obviously feel this way because I am playing the games out of order. Working with the fluid motions of map navigation in Skyrim makes clunking through the map/quest/inventory system in Oblivion an abysmal chore. Plus, I am sort of confused about the bedridden level-up process and the skill tree. I am currently stuck on a Mage quest that requires me to be a particular level in Alteration, even though I didn't choose that particular skill in my initial setup and now I have no idea if I can do so in some mercenary way. I am sure I can somehow, but I will probably choose to wander around Cyrodiil instead, grinding around the Imperial City and picking up random fetch quests in order polish my skills before I search for some elusive heir to the throne. Something about Oblivion feels more confining than Skyrim, as though the world isn't quite as open to new residents such as me, with nothing better to do than stroll into random towns and mess about with the social dynamics. 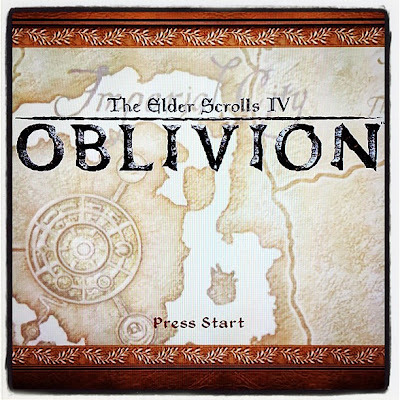 I am feeling a tad more in control this time around, but haven't quite found my Oblivion groove. I can't quite commit to pure immersion, as confessedly, Oblivion is currently functioning as a sort of time filler until next Tuesday when The Witcher 2 releases on 360. I don't normally pine for PC games to be ported to the consoles, but in this case I am ridiculously excited. But as time fillers go, Oblivion will not get permanently left behind once something newer and shinier is released. I have every intention of seeing it to its end...soon(ish).